If you are a kid who grew up on TV in the 2000s, Khichdi is one show which bound to send you on a nostalgia trip. With Babuji, Jayasree, Praful, Hansa and Parminders and their mindless antics this one concoction the taste of which still lingers and bring back many memories. The first episode of the new season premiered on Star Plus last night. Gasping in excitement to have this slice of childhood back in life this what we thought about the comeback episode of Khichdi. After the disappointment that was Season 2 of Sarabhai v/s Sarabhai, Khichdi fares much better on that scale. The biggest praise for the team should be reserved for the fact that they have not tampered with the essence of the show. The recurring jokes of the show which were legendary when the show topped the charts in the 2000s have been retained and we cannot thank them enough for it. Producers Jamnadas Majethia has taken a lot of care in the hiking the scale of the production and it shows. From sets to actors to minute detail, everything looks like a no-expenses-spared affair. Khichdi would not be Khichdi without its permanent cast members. 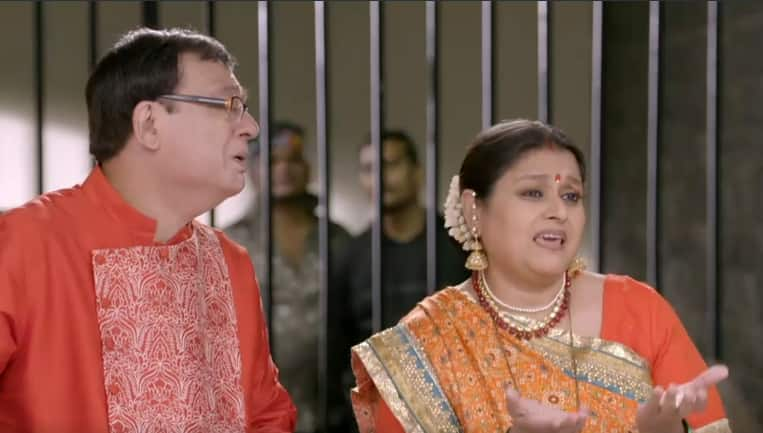 Whether its Babuji, Praful, Hansa, Jayasree or Himanshu the faces are all familiar and their performance doesn’t seem like they essaying the role after such a long. The ‘Babuji Ko Daal Kachre Mai’, ‘Kisi Ko Pata Nahi Chalega’, ‘Jayasree, Chai Laa Rahi Ho Ya Bahar Se Mangwau’ and Praful explaining English words to Hansa in his unique ways are certain aspects that we are glad is back in our lives. It is difficult to accept a new face in a show the cast of which has been not only familiar but legendary in their own rights. 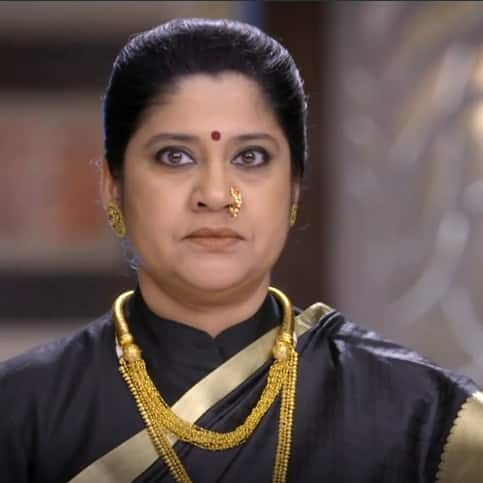 However, Renuka Shahane as the lady don Madame Bavaskar who interestingly stammers to pronounce words that starts with ‘B’, ‘V’ and ‘S’ is one addition to the show that we are totally thrilled about. And how cool is it to see Renuka Shahane back on screen after such a long hiatus. When Khichdi premiered in 2002 it was the hilarious thing on TV. But since then a lot has changed in terms of TV content and consumption pattern. While we love the fact they have kept the old essence alive, but in doing so the humor of the show seems a little dated and stale. Going forward, the writers will have to strike a fine balance of making sure that the humor connects with the present crop of the audience while keeping the old essence of the show intact.